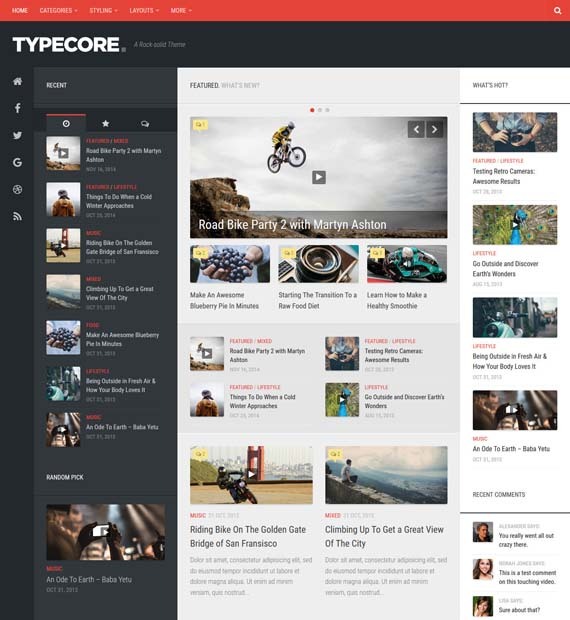 Typecore is a free WordPress theme best suited for blogs and magazines. This ultra-responsive theme is full of awesome features such as featured content sliders, unlimited widget areas, custom page templates, custom widgets, social links, header & footer ads, 10 post formats, and much more. On top of that, Typecore has been designed with good SEO in mind so your website will be able to reach more people. With its extensive yet user-friendly customization options, you can easily create a striking website.